Teacher Appreciation Week was last week, but it is not too late to show your teacher how much you love her. Why not give her a kiss? Or a container full of kisses. 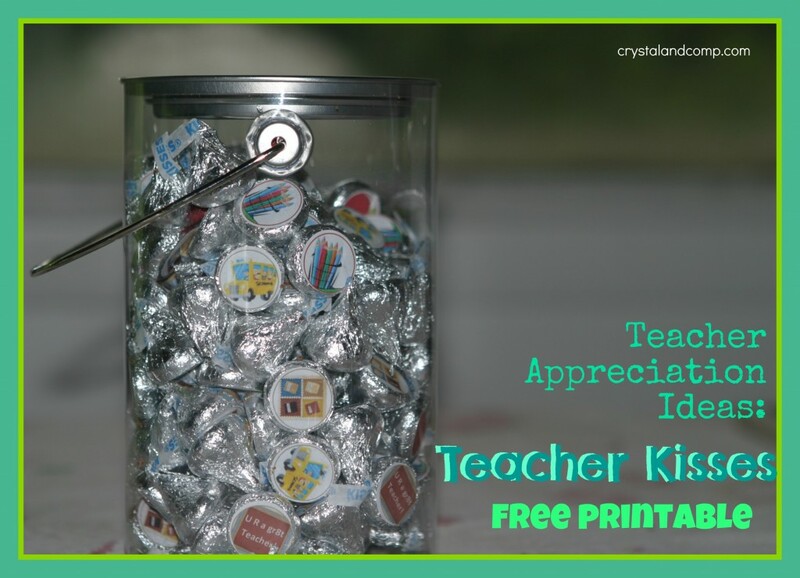 This gift, as well as all of my teacher appreciation gift ideas, are awesome goodies to give your teacher any time this month as a way to say thank you! 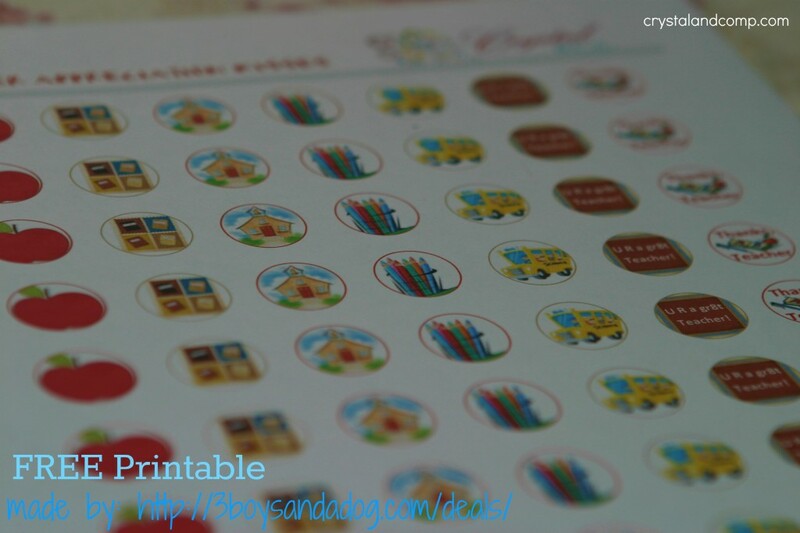 Print the Kiss circles on a sheet of labels. Kelli at 3 Boys and a Dog makes all of my printables that I offer to my readers. Check out more of her design work and affordable pricing if you have an upcoming project. 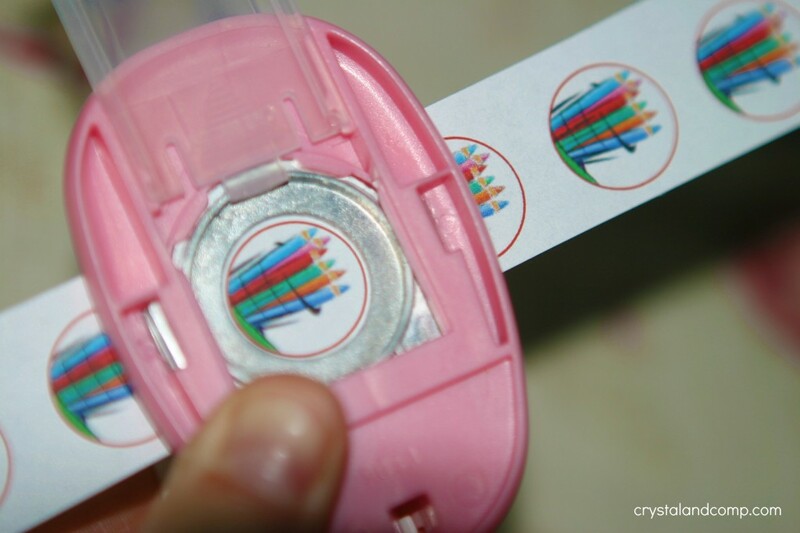 Use a 1 inch circle punch to cut out the Kiss stickers. Peel the backs off the labels and attach them to the bottoms of the Hershey Kisses. 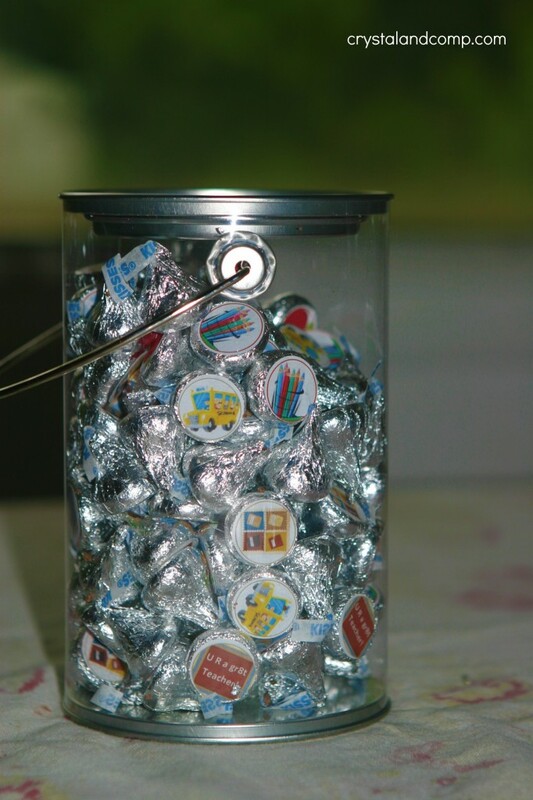 Put the Kisses in a clear container or old jar that has a lid. I grabbed these clear replica paint cans at the local craft store. They were a bit larger than I wanted, but they served the purpose. I have seen these same containers at Target in the dollar buckets for $1 and they were half the size, unfortunately they were out of them when I did this project. You can add ribbon to the handle or container as well if you want. I wanted to keep it as simple as possible as I did not want to take away from the decoration the stickers provide. Love this, Crystal! 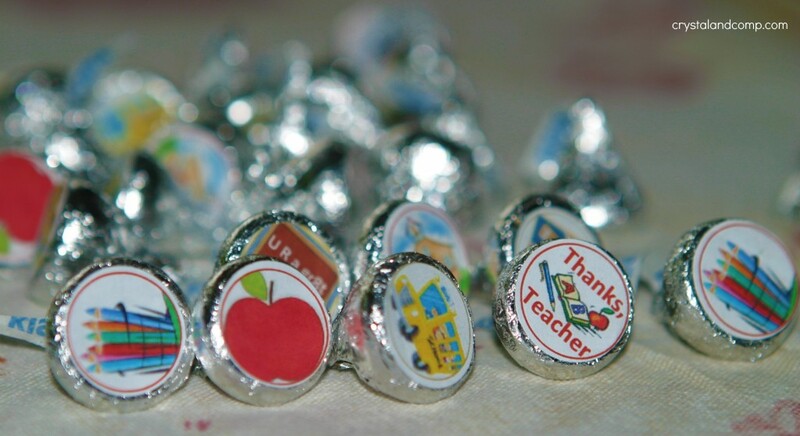 Hershey kisses are the perfect bite-sized chocolate and I’m sure any teacher (and student) would love these. Thanks for sharing. Can’t wait to print these out. Adorable! Teachers work hard and need chocolate! I have a highschooler and we are going to do this anyway! We usually give cards from Starbucks and this will be a nice addition! What a fun way to dress up the kisses. Such a great idea! This is great! Do you have one for bus drivers? I will email you a pdf of it. Not sure why it is giving you trouble. What labels did you use to make this successful? Thanks. Could you tell me what labels you used? The ones I have tried do not line up correctly.